Thanks to the very kind people at Cerebra, for the first time Samuel has been able to sit in a trolley while we visit the supermarket. 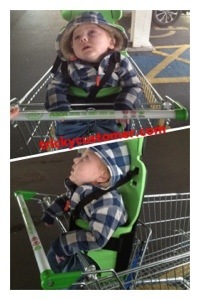 The Cerebra Trolley Buddy has a harness and strap that keeps Samuel very secure and snug in the seat. We were worried that because of his poor head and neck control he would just flop out, but because he’s so snug in there it kept him quite central. The real test was when he had a seizure and although he did lean out, he didn’t flop out as we feared he would. Up until now we’ve never been able to put Samuel in a trolley as there simply isn’t enough or indeed any support. So far we think that the Trolley Buddy has been a success and we are absolutely delighted. Since we came home from NICU last January (2011), I have had to become quite a pro at form filling, admin & managing the diary. I’ve never worked as a Personal Assistant before, but certainly think along with my mummy and caring duties I’m proving to be one fine PA to the boy. One of the forms people will always tell you is a demon to fill out is the paperwork for Disability Living Allowance. It’s not actually that bad and the amazing Cerebra have produced an absolutely fantastic guide to help. 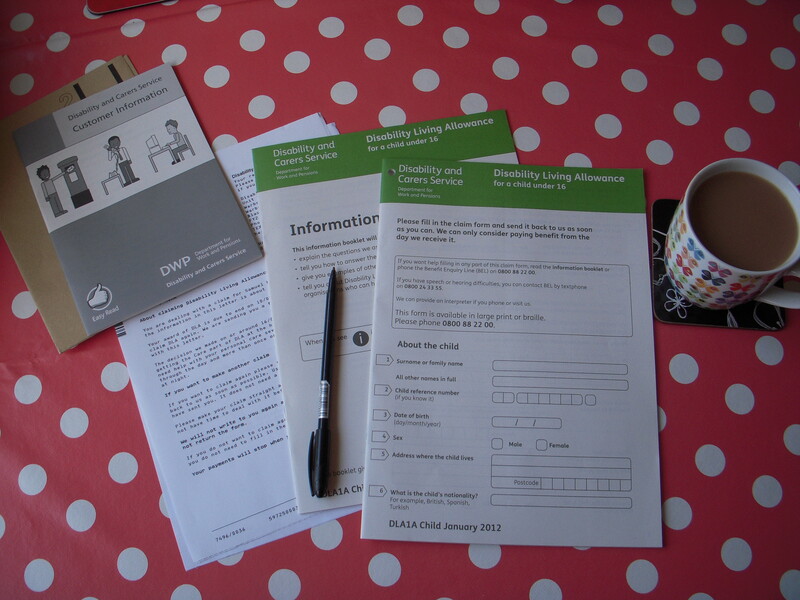 The guide takes you through each stage of applying for DLA, starting from whether you should apply at all, through the claim pack box-by-box, with lots of useful hints and tips on preparing for a medical visit, obtaining supporting evidence, keeping a DLA diary and much more. You can request a printed copy of the DLA guide by calling 0800 328 1159 or emailing info@cerebra.org.uk or you can download and print it yourself. Personally I would recommend that when you complete the DLA form for the first time you make a photocopy. I know doing so will be very time-consuming but when you come to renew, it will make your life much easier! Do have a look at Cerebra’s website for other useful financial information. 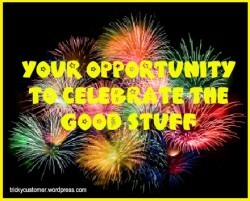 Anyway, it’s renewal time for us so..